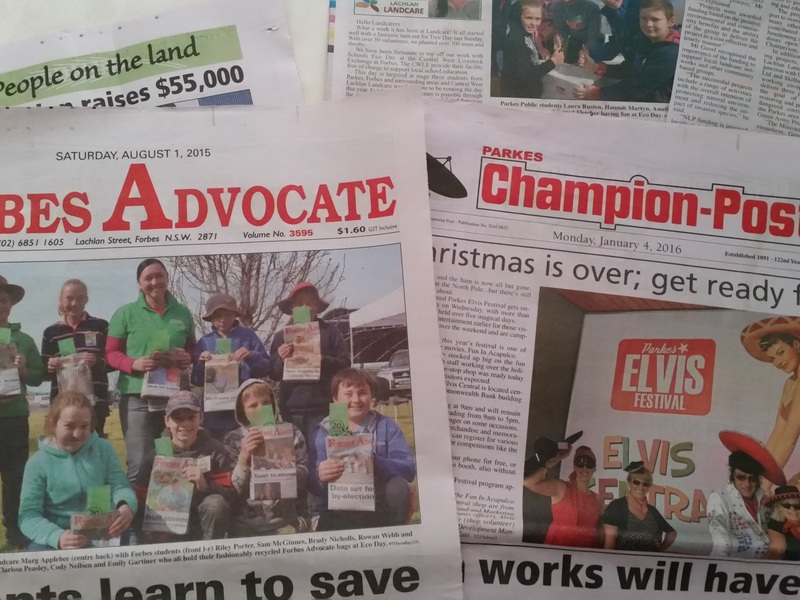 Central West Lachlan Landcare (CWLL) has teamed up with Forbes and Parkes Shire Councils to deliver positive environmental outcomes for the region. To enable CWLL to continue to promote sustainable environment practices, wildlife habitat preservation and community education across the region, Forbes Shire Council have donated a 2015 Toyota Kluger with Parkes Shire Council providing $10,000 per year for three years to offset running costs for the vehicle. CWLL Chairperson, Margot Jolly said this support will enable CWLL to engage in activities and initiatives outside of normal trading hours, for the benefit of the Parkes and Forbes Shire regions. 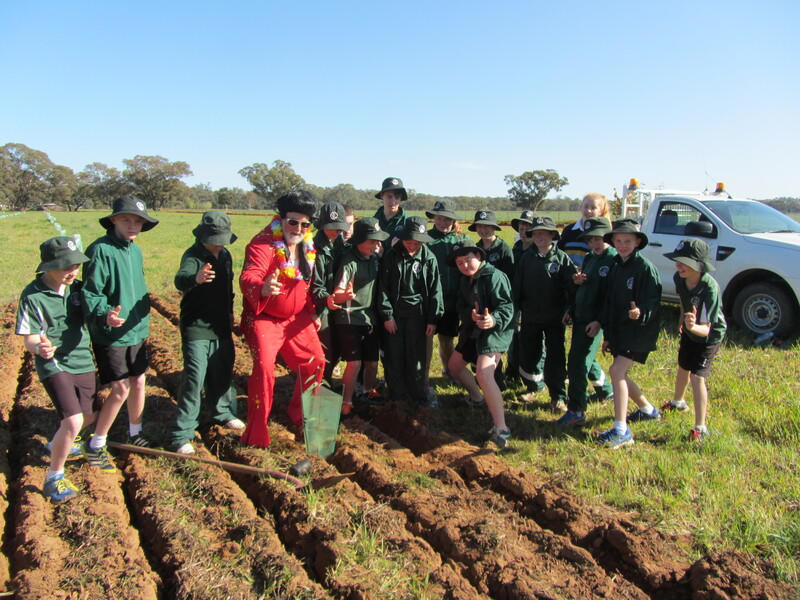 “With this additional support from Parkes and Forbes Shire Councils, CWLL can continue to host the Skillset Green Army teams, who have undertaken work in both Parkes and Forbes Shires. This program provides training and skill development for young people. CWLL will also be able to continue to develop programs across our region over the next three years”. CWLL secured funding through the Local Landcare Coordinator Initiative to provide a part-time position until June 2019 for employment of a co-ordinator, which adds to the existing financial arrangements, allowing CWLL to provide an office that is open between 9am – 3.30pm week days. Forbes Shire Mayor, Cr Graeme Miller said Council is proud to partner with our neighbouring community to support CWLL in its efforts to make this area vibrant and sustainable. “This is a significant contribution and will allow Central West Lachlan Landcare offer their services on a wider scale,” he said. A Memorandum of Understanding (MoU) will be prepared to reflect the intention of the arrangement. The Local Landcare Coordinator Initiative which has been outlaid throughout NSW will provide over $15 million to renew the government-community relationship and unlock the full potential of thousands of volunteers in the Landcare network. The funding is overseen by Landcare NSW and the Local Land Services. Host groups were encouraged to develop partnerships to help build capacity to enable groups to be sustainable over an extended period, ensuring that organisations like Landcare can maintain their important role in the community. CWLL is also part of a regional network of Landcare groups who work together and maintain connections through the Central West Natural Resource Management Group. This group works to strengthen the regional Landcare network and provide a regular opportunity to find out what is happening around the region.